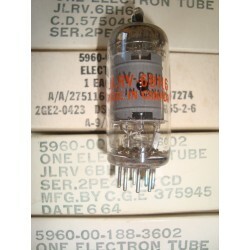 Top quality double triode amplifier tubes manufactured in Germany by AEG, we believe in partnership with Telefunken. 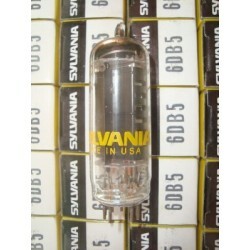 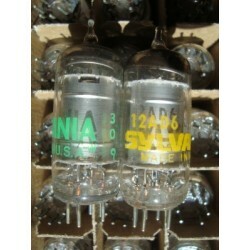 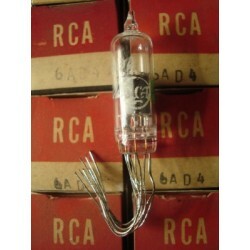 These fine 9 pin low noise miniature glass pre-amp tubes come with gray plates and top disc getters. 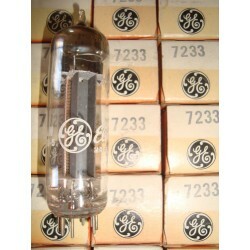 They are printed in white with AEG logo, ECC88 62068, indicating 1962 production. 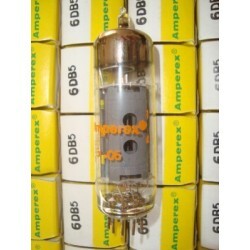 Boxes are standard AEG red and blue printed AEG ECC88.